Does your 9 to 5 seem like a 9 to 9? Are your days getting longer and your free time shorter? Make the most of your down time with an adult coloring book from Nathaniel Wake Publishing. Adult coloring books have become a popular way to relax, fuel your creativity, and keep your mind focused. However, after a particularly stressful day, you’ll find the unique illustrations in one of Nathaniel Wake’s many books to be the perfect way to vent your pent-up frustrations. Consider how the pencil (or marker or pen) glides across the paper, smoothly applying a trail of color in its wake. You can let every emotion of your day come to pass as you outline, fill, and create a colorful masterpiece of your own. Too often, people bring the stress of their jobs home with them or linger on the negative parts of their day. Since adult coloring forces you to focus on a specific task, you’re engaging in your current moment, and pushing the rest aside. Venting your frustrations in a healthy, artistic way is easy with your favorite adult coloring book. Settle down with a garden of Floral Fantasy and allow your creativity to shine positivity on your world or let the images of Mythological Life take you away to a different time. With such a range of detailed, intricate designs, you’re sure to find something you love. Nathaniel Wake Publishing offers a twist on the traditional adult coloring images, bringing you something new. Get in the habit of using adult coloring as a form of therapy, and you’ll actually find yourself craving your favorite book at the end of a long day. Though coloring can help you focus and requires a bit of concentration, it can also be done without requiring a lot of “Thinking”. After a rough day, the last thing you want to do is make your brain work overtime, and coloring is a way to unwind without requiring a lot of mental capacity. Experts claim that coloring in adult coloring books is similar to other mindful techniques such as yoga, but without all the pesky physical exercise. Don’t spend another day at the office mad at the constantly jamming printer. Stop banging your head against the wall in your customer-service job. Pick up an adult coloring book by Nathaniel Wake Publishing and color the tribulations of your day away. In CELEBRATION.. of our 800th Like mark busted. There will be a #steampunk #fridayfreebie tomorrow. Hope you will stop by... And post some pics peeps. Post some reviews. Motivate Me! Hi, I just bought and received 3 coloring books on Amazon. It says that we can request a digital copy via a request, I guess it's here? 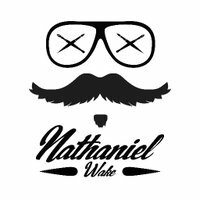 © 2017 www.nathanielwake.com. All Rights Reserved.